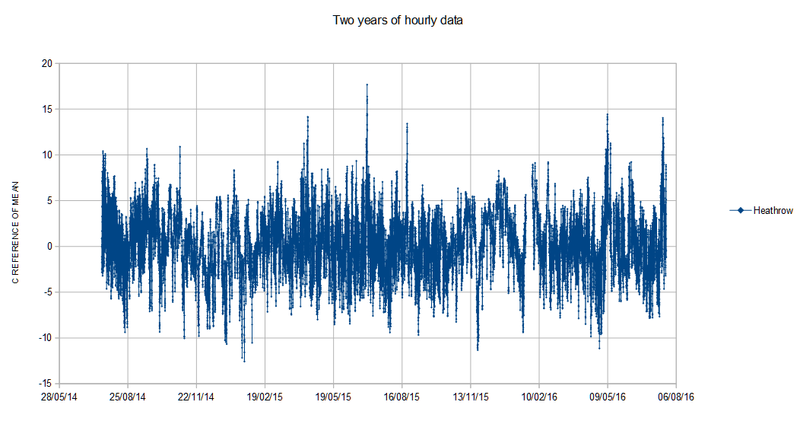 Figure 1, hourly data collected from Met Office Datapoint over two years for Heathrow, one of many stations with data. I’ve succeeded in collecting a massive data store from Met Office Datapoint, hourly data for many UK stations, known errors in the supplied data excepted. Some data is missing, such as the week when I went into hospital and in error had powered off the automatic data collection computer. The poor air, blue tinged when I realised. I could upload the whole lot as CSV files inside an archive but the sheer size of this is a disincentive unless there is genuine demand. 40 or so MB, 230 MB uncompressed. There are also daily plots as PDF, a mountain of data. What do people want if anything? Figure 2, as fig 1 less annual as computed by Synth. A climatology (the averages) is conventionally computed for a data length of 10 or more years, less than that it isn’t done. In practice the result here is very close, good enough. Temperature figures are asymmetric, heating and cooling law is different, why I bend the law for the areal computations. Heat is an instant intense matter, cooling is slow and exponential. There is a vague square law effect. Sorry this is a boring article, some are housekeeping. Thanks, your article is fascinating. There’s often something new to be learned by grabbing all the data. What is the nature of the asymmetry? How does the average max/min compare to the hourly average? etc. 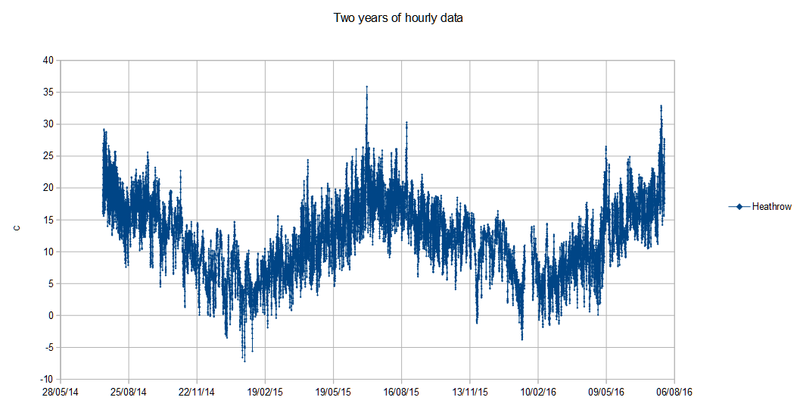 Data as time series, one per station, has now been upload and made available, see article.